International Used Truck Centers have the right truck, right now. Whether you're looking for something value-priced to keep costs down or a late-model, low mileage unit to take advantage of the latest technology, they've got a truck to meet your needs. And we've got a rebate to match. Get a $500 rebate on any used make or model sold through approved International Used Truck Centers. 14 International Used Truck Center locations nationwide. Wide selection of Class 5-8 trucks from a variety of manufacturers. Flexible financing options to meet your specific needs. Warranty packages available to protect & serve your bottom line. Vist an approved International Used Truck Center and negotiate your best price on any used truck. These trucks are never sold "as is." Each one goes through a rigorous mechanical, operational and functional inspection and reconditioning process. Giving you the confidence that a Diamond Renewed Used Truck can handle any job you throw its way. The Important Stuff: Invoices must be received within 60 days of invoice date to qualify. There are no quantity limitations on the number of units available for a rebate. Offer not valid on used trucks sold through an International dealership. Be sure to include your MemberID on the invoice. Cannot be combined with other rebates or special offers or other customer factory discounts. Leased vehicles or purchases through national accounts or fleet programs are not eligible. Allow at least 60 days after submission of your rebate request to receive payment. Rebate program and amounts are subject to change without notice. We've got you covered there, too! 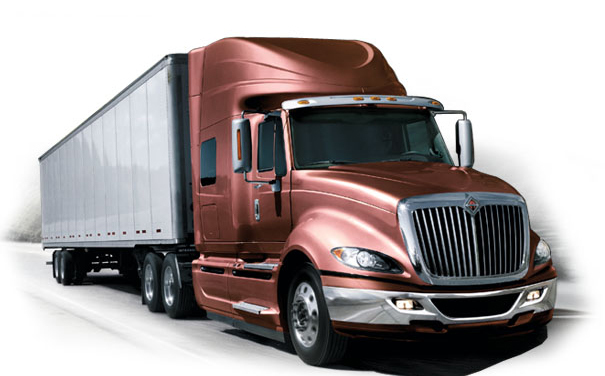 Learn how you can save up to $1,000 on new International trucks.